麺屋 一燈 Menya Itto is a very popular ramen shop in Tokyo that originated from 新小岩 Shin Koiwa near Akihabara, drawing long queues especially nearing meal times, sometimes spilling over to the off peak hours as well. 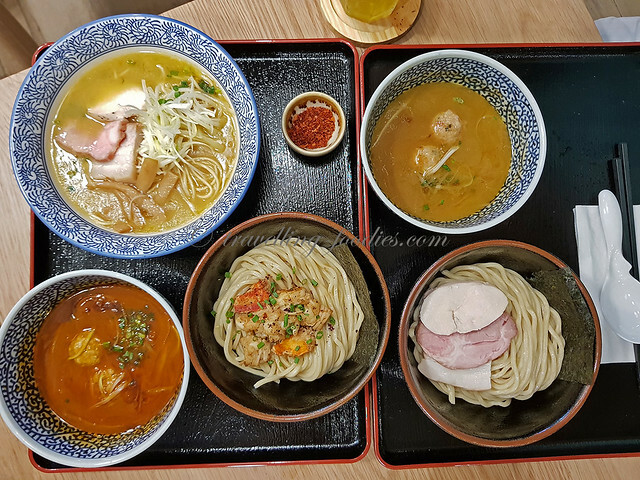 Their second overseas menya in Thailand caused quite a stir they opened at Erawan in downtown Bangkok just a couple of months ago with diners and ramen aficionados queuing for more than an hour just to get a slurp of the unique broth Itto is known for. Thankfully we came really early that day, reaching at around 11 am. A tad too early as they open only at 11.30 am and went to roam around the nearby mini supermarket instead. At opening, there were already a few tables occupied. 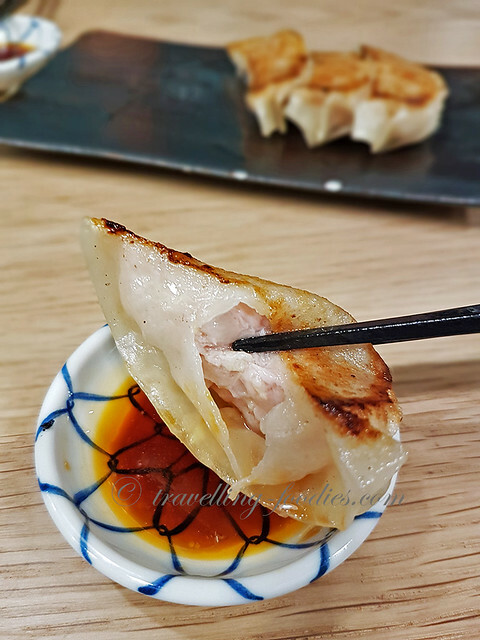 Service was fairly swift and soon after we had our orders taken, the gyoza starters were being served, beautifully browned on the base side. Couldn’t resist flipping the whole rack over to reveal the elegantly pleated side. As we learned from the staff, the gyozas were all freshly handwrapped individually everyday. The skin looked really thin with the pinkish meat filling peeking through gorgeously. True enough, the gyoza skin was uber thin, almost translucent in certain places. The ball of meat filling was delightfully moist, tender and succulent, reminiscent of the filling of good xiao long bao. 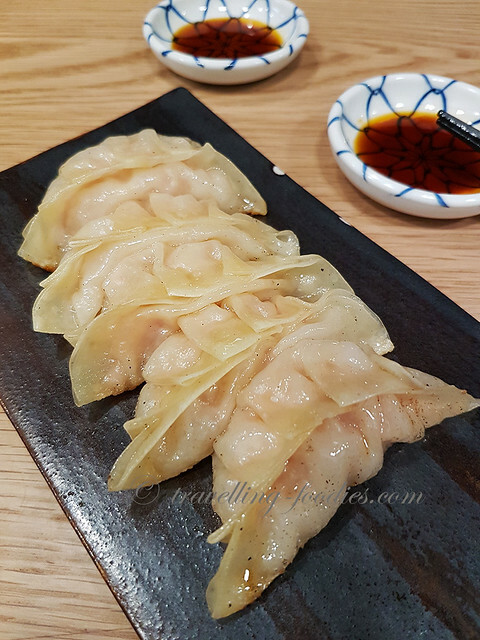 The skin was uniformly cooked, half steamed and half panfried with no hardened corners and tips as what one would sometimes experience at other joints using frozen gyozas or those which have been left around for too long. And here’s our order of ramen and tsukemen! Quick photos before digging in! Itto’s standard char siu tsukemen. The noodles are a tad thicker than what we had expected. It was cooked to just al dente with a good amount of springy and chewy textures. 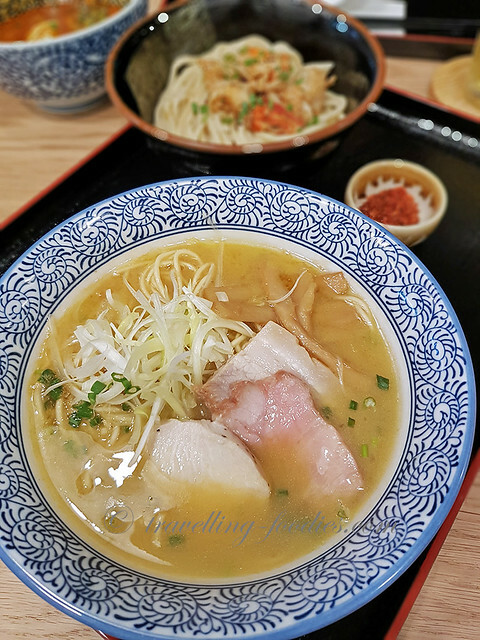 The aroma of the wheat was really apparent as the noodles are also freshly made in the shop compared to other ramen joints which import theirs packaged or frozen from Japan. The rich broth was amazing as one could slowly make out the multitude of dimensions created from the mixture of ingredients used, i.e. chicken bones and feet, bonito, dried shrimp, dried sardines, scallops etc boiled over a prolonged period of time to tease out every ounce of goodness from each “zairyo“. The final broth rides highly on the notes of umami and natural sweetness that gently caresses the noodles as one dips ceremoniously a few strands at a time into the rich broth before splurping them down to coax and sooth one’s throat and palate. While the noodles and broth were already quite something, Itto’s char siu assemblage is quite a feat on its own as well. Not one or two but three types of char siu can be found in each standard order. Our favorite was the “tori char siu” , a thick and flavourful slice of chicken breast which had been carefully sous vide to retain much of its moisture, with all the flavours locked into each soft fibre. The “rosu char siu” using pork shoulder/collar too was beautifully sous vide as well, after being cured in a specially concocted marinade that lends its flavours unto the meat and help develop an almost “jambon” like consistency. The “bara char siu” uses pork belly with good meat and fat ratio that was slowly poached at temperatures just below boiling point which helped the slab to retain not only its form but also textures. We opted for a bowl of Noko Gyokai (濃厚魚介）base ramen instead of a standard Tokyo style shio ramen as we generally favour a more robust tasting broth. 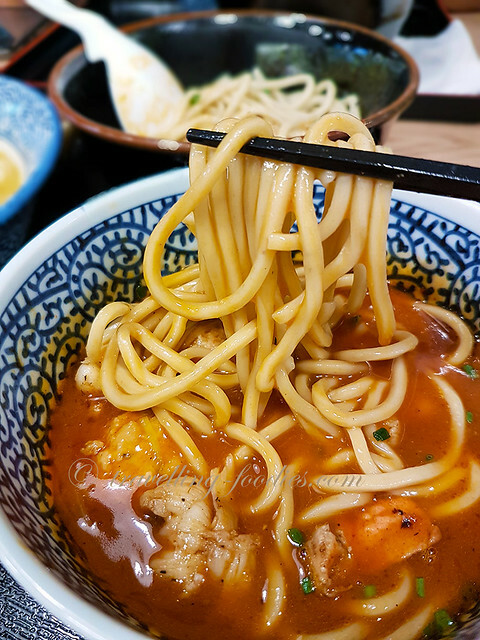 In the case of Itto‘s rendition, ramen noodles served in an enriched chicken broth cooked with dried Japanese seafood as well. 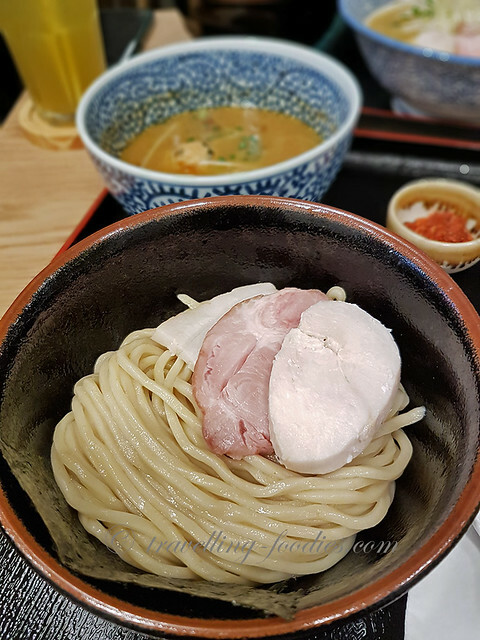 Like those from tsukemen, the noodles are also freshly made daily in the kitchen but using an entirely different blend of flours and also made thinner which helped to construct a different slurp and bite experience. The broth was thick and robust almost like a tonkotsu base but with an entirely different flavour profile, much more complex in our opinion. Above the noodles lies same trio of char siu for a good range of meat component in the ramen alongside negi and menma for crunch. The highlight of that day’s brunch was a sampling of Itto’s lobster tsukemen which would be rolled out soon at the end of Nov 2017. 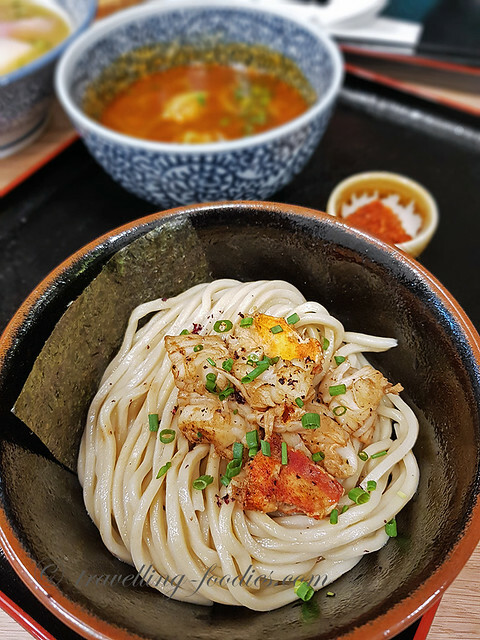 The same thick and bouncy noodles now generously embellished with chunks of lobster meat which had been panfried teppanyaki-style with butter just before serving for an extra luxurious dining experience. The dipping broth was a unique concoction as well, essentially a rich bisque that was uber creamy and smooth, yet surprisingly good for dipping the noodles in. Despite being immersed in the bisque cooked from the crustacean exoskeletons, the chicken balls themselves held their fort and displayed much of their intended flavours instead of being drowned in a pool of glorious goodness. 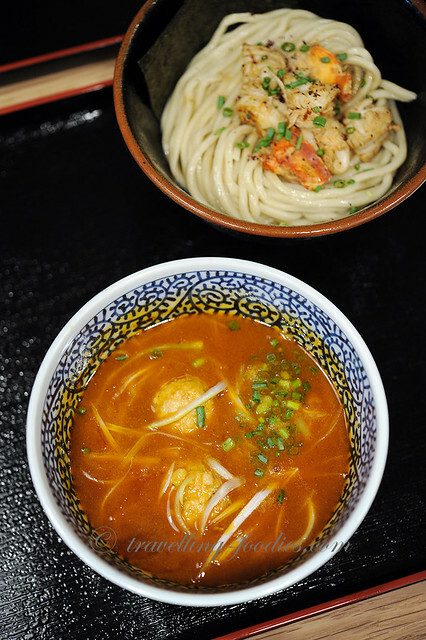 Thoroughly enjoyable dipping and slurping the tsukemen noodles, be it their standard broth or in the bisque. And when the noodles are gone, remember to thin slightly the broth with the dashi stock from the thermal kettle on the table and gulp down every last drop of essence ensuring nothing is wasted. Lots of premium ingredients have gone into the making of just that bowl of broth, not to mention the time and effort, making the entirely dining experience all so slurp worthy. 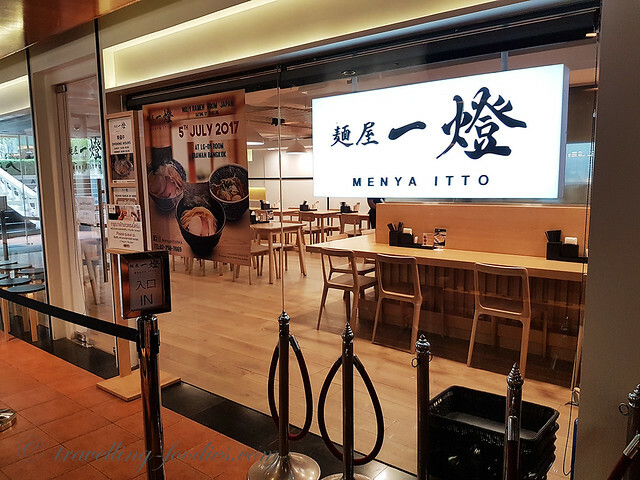 Most definitely be looking forward to check out 麺屋 一燈 Menya Itto again on our future trips to Bangkok and you most certainly should too! 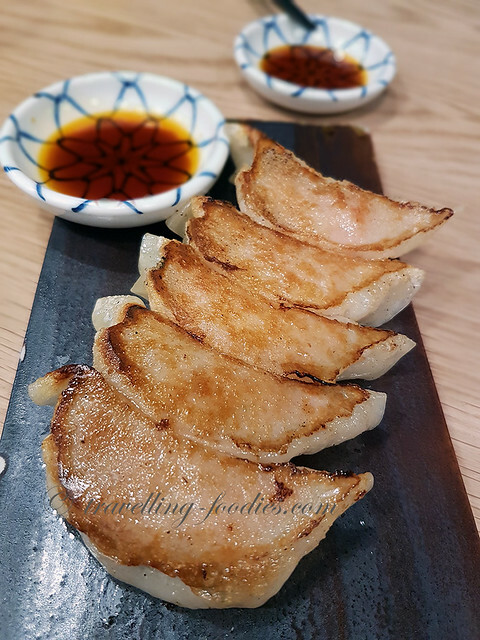 This entry was posted on November 16, 2017 by Alan (travellingfoodies). It was filed under Food, Travel and was tagged with charsiu. 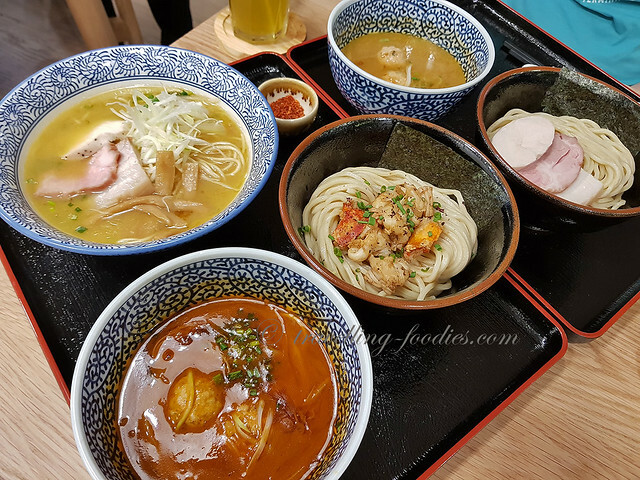 lobster bisque, 麺屋 一燈, gyoza, japanese food, menya itto, ramen, sous vide, tsukemen.